As summer turns to fall, the transition in the Moosehead Lake area is extraordinary. Autumn displays brilliant hues of red, yellow and orange. 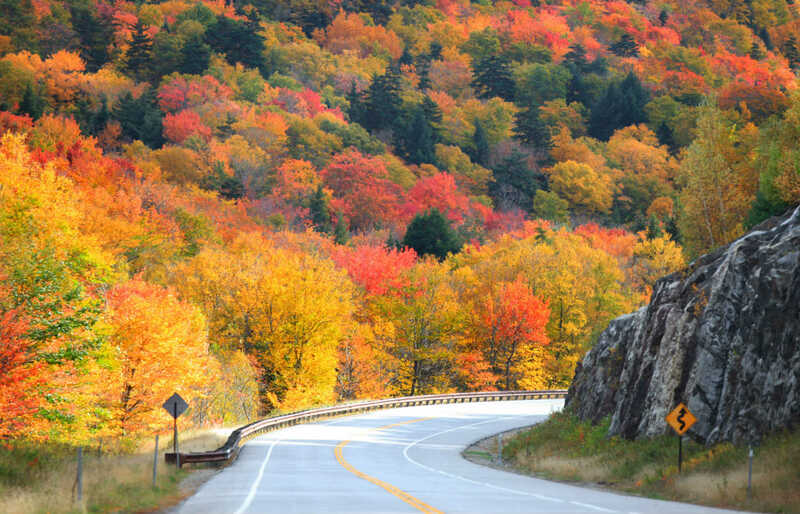 The typical “leaf peeping” season is from mid-September thru mid-October. The change in the landscape from the greens of summer is breathtaking. There are several scenic loops for those traveling by automobile. It is also a wonderful time of year for hikers to trek along our many mountain paths and nature trails. 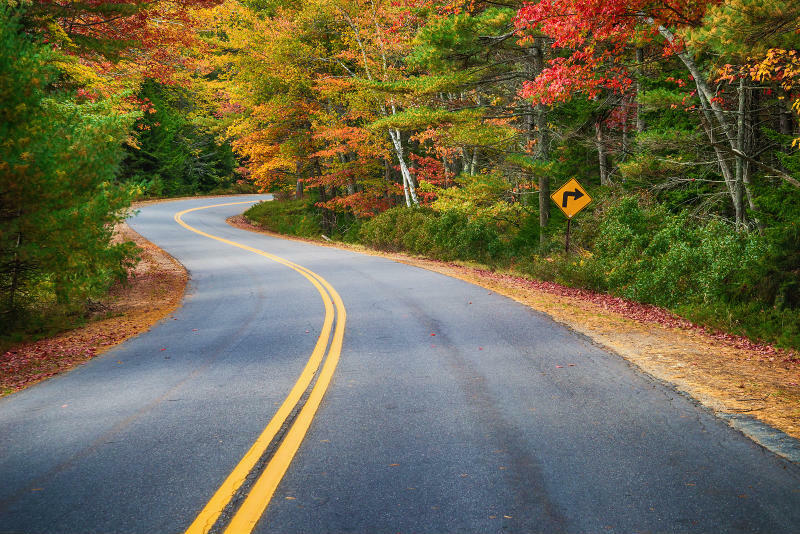 Whatever your mode of transportation may be, make the Moosehead Lake Region the leaf peeping destination for you! We highly recommend that you pick up the Maine Atlas and Gazeteer at one of the shops in Greenville. This will give you very detailed maps of the entire Moosehead Region so that you don’t miss out on any scenic roads! Highlights: This trip takes you past lakes, mountain views, and a scenic river valley. There are several towns to stop in for souvenirs, a cup of coffee, and a good lunch. Directions: Turn right from the Lodge to downtown Greenville. Take Route 15 north at the blinking yellow light through Rockwood to Jackman, Turn left (south) on Route 201 to Bingham. Turn left (east) on Route 16 to Abbot Village. Turn left (north) on Route 6/15 back to Greenville. Paved road. Open year around. 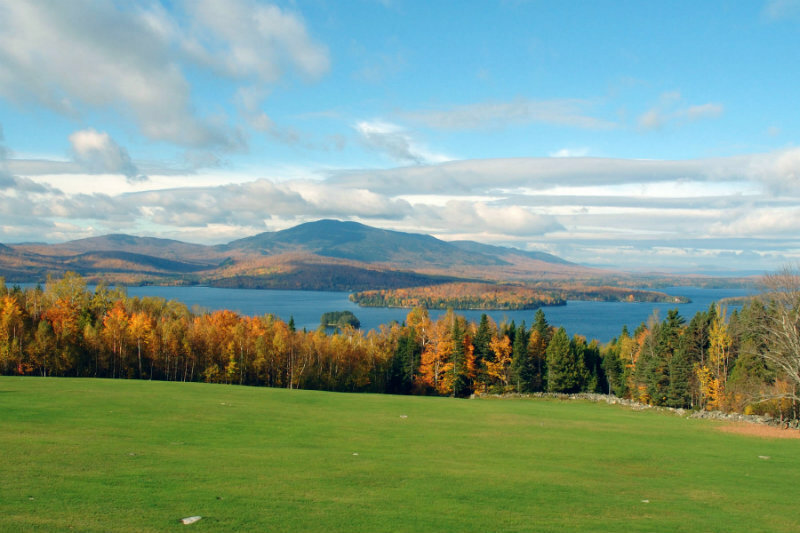 Highlights: See the eastern shore of Moosehead Lake, pass moose bogs, ponds, and fabulous mountain views. There is a trading post at Kakadjo where you can get food and souvenirs. Directions: Take a left (north) out of the Lodge onto Lily Bay Road 16 miles to Kakadjo. Paved road. Open year round. 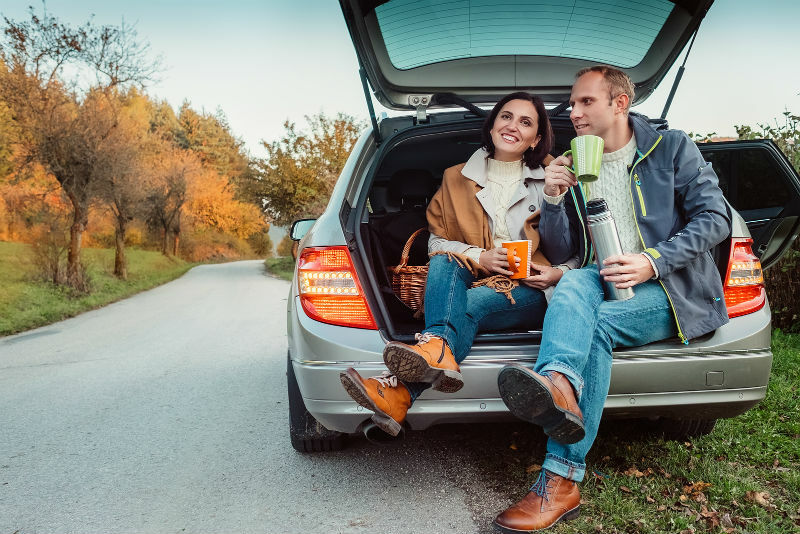 Highlights: This drives takes you up the western side of Moosehead Lake, past Big Moose Mountain, the East and West Outlets to the Kennebec River and will treat you to magnificent views of Mount Kineo in Rockwood. There is a country store in Rockwood that serves sandwiches and baked goods. You may also visit the Rockwood town landing for another country store and a closer view of Mount Kineo. A boat shuttle runs on the hour to Mount Kineo in the summer. Directions: Make a right from the Lodge to Greenville. Turn right at blinking yellow light onto Route 15, north 20 miles to Rockwood. Paved road. Open year round. Highlights: This drive will take you down the railroad bed from Greenville to Shirley. You will pass scenic bogs with moose and other wildlife. An SUV is recommended. Directions: Turn right from the Lodge to downtown Greenville. Turn Right at the blinking yellow light and take Route 15 (Pritham Avenue) north for 1.3 miles to Greenville Junction. After passing under the railroad trestle, turn left on Depot Street. This will turn into a gravel road. Stay left at the fork (if you get to the Greenville Landfill you didn’t stay left). Follow this road until it ends in Shirley. Turn left. Turn left again onto Route 15/6 to back to Greenville. Gravel road. Passable in late spring, summer and fall. Highlights: This trip will take you past spectacular views of Borestone and Barren Mountains and over a couple of scenic bridges on Wilson Stream. There are sprawling fields and old New England farmhouses. If you need refreshment, there are eating stops in Monson. Directions: Turn right from the Lodge through Greenville and at the blinking yellow light continue south on Route 15 toward Monson. Just after the Monson town line turn left on the Elliotsville Road. After you cross Wilson Stream and pass Borestone Mountain (stay sharp right), the Elliotsville Road turns to gravel for about 10 miles. You will cross Wilson Stream again on a bridge with iron grates. Turn right onto Route 150. After 3-4 miles turn right onto North Guilford Road. When this road ends turn right onto Tour 6/15 in Monson. This road will lead you back to Greenville. Mostly paved road. Open year round.